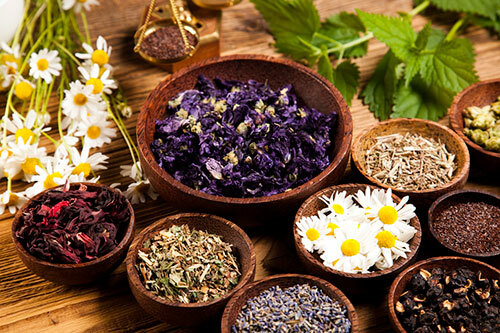 Herbal medicine is the holistic use of medicinal plants to treat and prevent disease. Attention is also given to nutrition and lifestyle. Herbal medicine seeks primarily to correct internal imbalances rather than treat symptoms alone. It not only encourages the body's own self-healing process but can also directly enhance the function of particular organs or systems in the body such as the liver or the immune system. Being the oldest form of medicine and still used today by most of the world's population, herbalism combines traditional and latest research-based knowledge to the patient's advantage. A qualified and experienced herbalist can safely prescribe herbs to patients who are also taking conventional medicine. Traditional Chinese herbal medicine uses a deep understanding of the elements in nature to treat the human body by harmonising and strengthening weak areas, increasing the body's own vital energy or Qi and removing toxins or blockages which impair health and can create symptoms. The root cause of disease is sought and addressed. The pulse and the tongue are important tools in aiding diagnosis. Chinese herbal remedies are excellent tonics in weak, depleted states such as in convalescence from a serious illness, after childbirth, during the menopausal phase or in chronic stress and overwork. They also work well in emotional states such as anxiety, depression and insomnia. Herbal remedies are versatile and can be used in many forms: herb teas, pills, powders, tinctures or creams. To arrange a consultation or discuss if herbal medicine can help, you please contact me.